Federation Houses of Subiaco W.A. 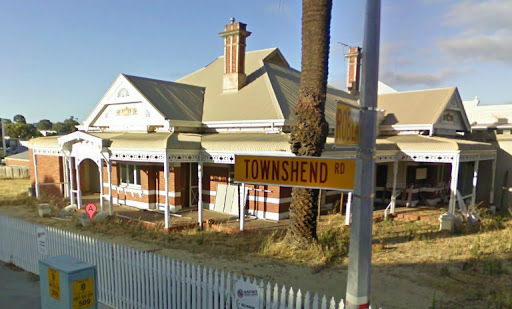 Why weren’t these heritage listed? 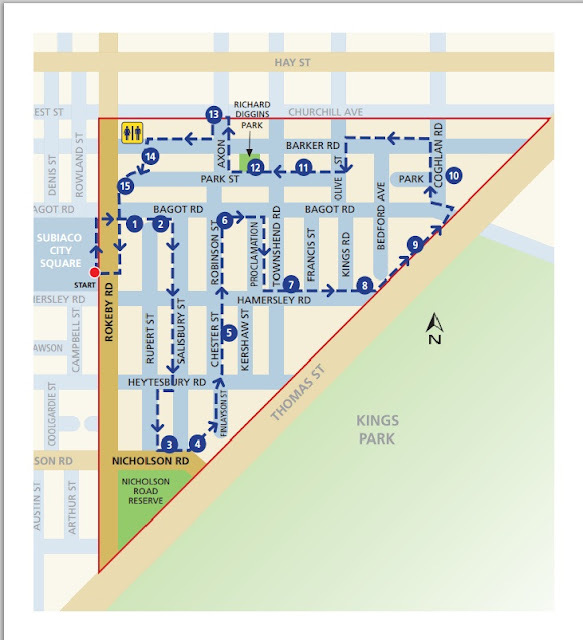 Located just five kilometres from the Perth central business district on the Perth to Fremantle line, Subiaco train station is at the heart of Subiaco’s bustling town centre. The railway opened in 1881 encouraging settlement which soon supported retail and industrial development, land being much cheaper in Subiaco than in Perth or West Perth. Subiaco’s population increased phenomenally in the 1890s due to a depression in the eastern states and the gold rush in Kalgoorlie. Rokeby Road, named after Lord Rokeby of Armagh, rapidly became Subiaco’s focal point, and remains so. Subiaco was proclaimed a Municipality in 1897 and became the City of Subiaco in 1952. Park Street, to the east of Rokeby Road, lies at the heart of the triangular area of early sub-division between Thomas street and Rokeby Road. 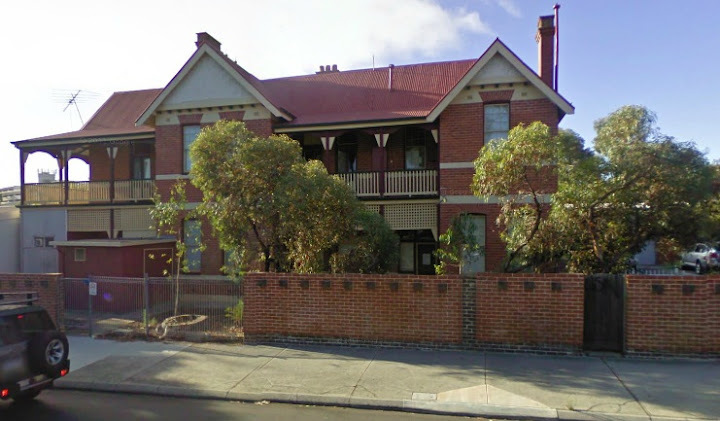 In 1886 the Jones family built the first European style house in Subiaco on Mueller Road, now called Roberts Road, near the Perth – Fremantle railway line. The gracious home was built on this site by Elizabeth and John Rowland Jones. The bricks were transported from Belmont via the river to the William Street jetty, by road to Thomas Street, then through the bush to the site. J R Jones, a journalist, was the state’s first Hansard reporter. The house was demolished in 1959. 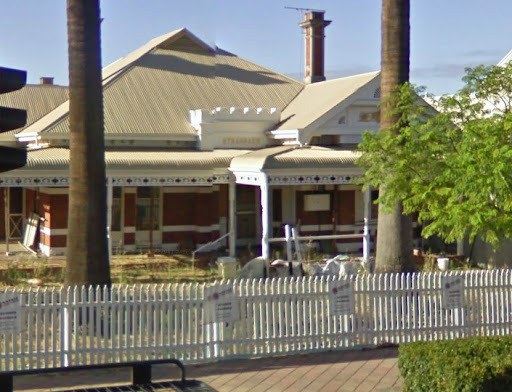 School building of historical interest as the first Government high school in Western Australia (WA). It was opened in 1911 and prepared students for the University of WA, which started in 1913. The building was constructed to the design of Hillson Beasley, Chief Architect of the Public Works Department. By 1911 the total amount of contracts let totalled 18,974 pounds. Perth Modern School was to pioneer in WA two entirely new concepts in education. One was the concept of co-education and the other was that there was to be no corporal punishment, no detention, no arbitrary or authoritative discipline. The historic house was built around 1900. Later it became a nursing home. 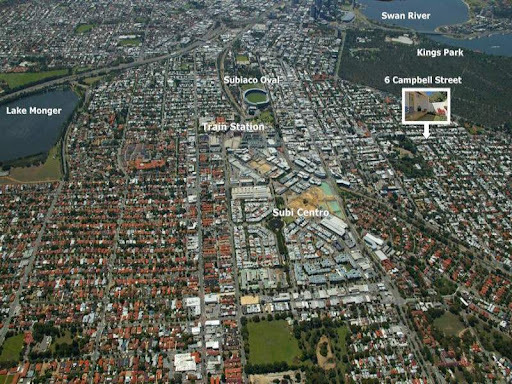 Registered as a place of cultural heritage significance by Subiaco City. One of the most original and distinguished houses of its period by a foremost architectural practice of the day. 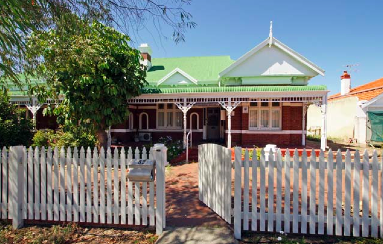 It has been sympathetically maintained and its location opposite the memorial clock tower, together with its tower and verandah features, has deservedly made it a local landmark. 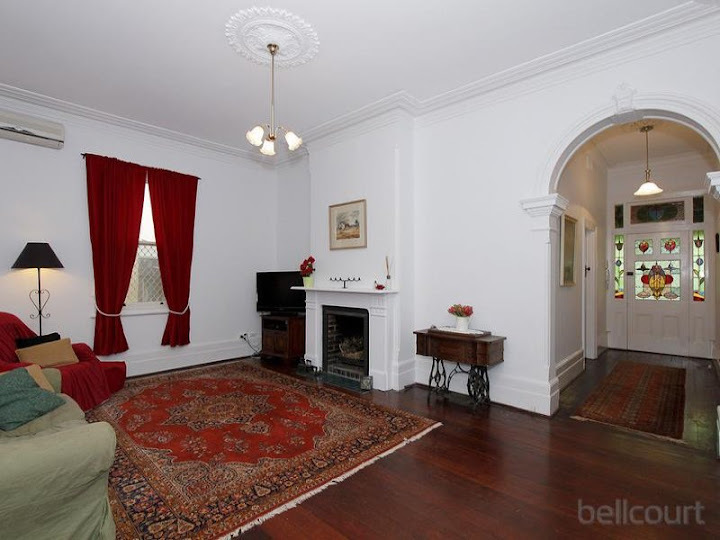 Located opposite the clock tower in Hamersley Road this is one of the most handsome houses of the district. It was erected in 1906 by Totterdell Brothers, builders, to the design of Hine and Selby, architects, for Mr Joseph Duffell. 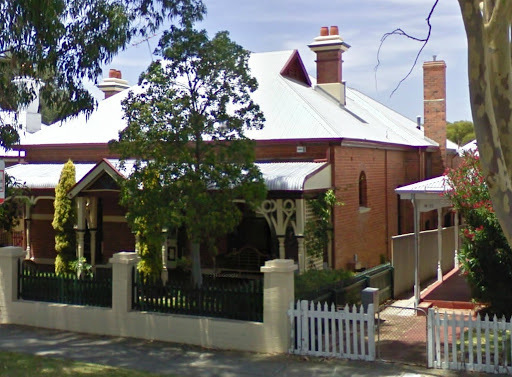 Several characteristics of this house are unique within Subiaco: the use of a slate roof; an arched verandah a entry; and a front vestibule with small tower above. 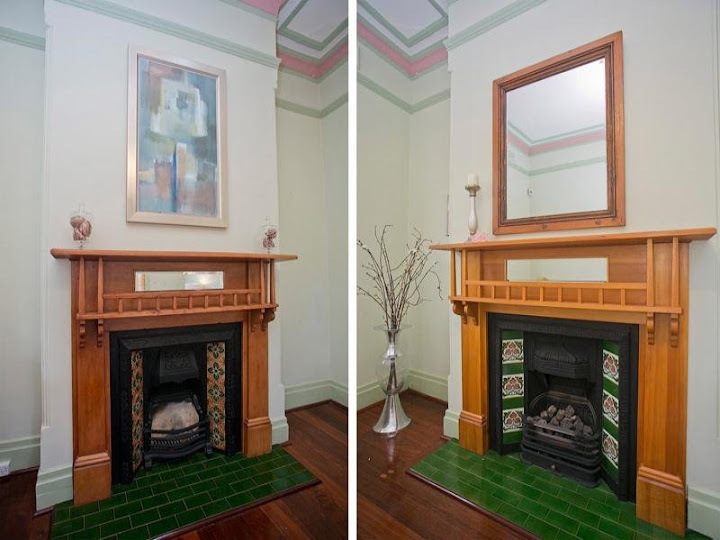 The original verandah posts have disappeared together with the original very ornate timber verandah brackets. The plan of the house is unusual for this period. The dining room, a bedroom and the drawing room are entered off the hall. The kitchen, bathroom and two bedrooms are entered off a large rear vestibule. The plan also incorporates a small cellar and there is a trademan’s entrance to the kitchen. The location of the house is interesting as it is outside the triangle where most of the more important local residences were situated. It was, however, close to the triangle, very close to the tram and faced North over reserves for parklands and civic and public functions. 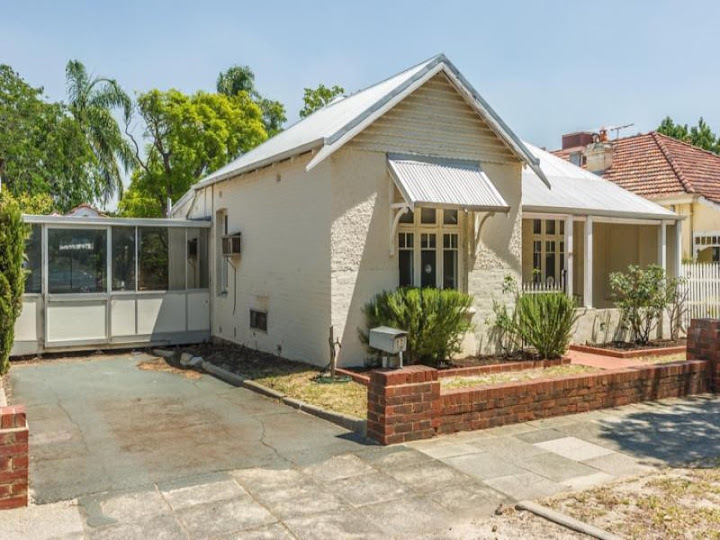 A row of century-old bungalows faces the wrecking ball because the City of Subiaco has failed to put them on its heritage list. 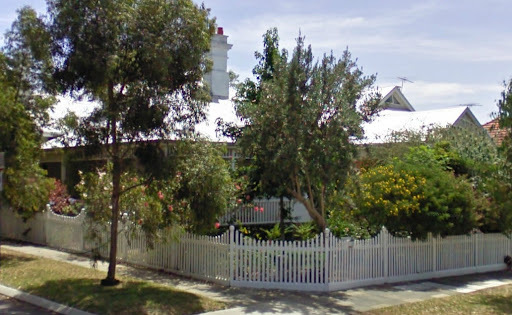 In a paper to their political masters, the city’s planners reveal the three houses at 59 (Harrow House), 63 and 65 Hamersley Road – which are up for sale – are at risk of demolition. 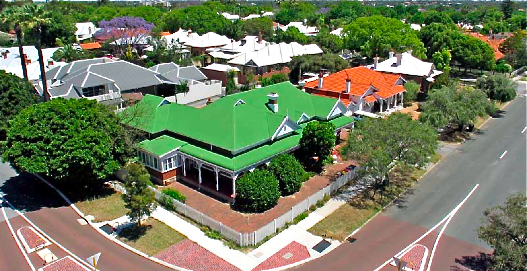 The planners have floated the idea that the city buy the early-1900s houses to protect the leafy streetscape. The properties are listed for sale by TimeConti Sheffield which is promoting the cottages’ potential for demolition and development. Stratmore is one of the last examples of a large Edwardian home in the area. It occupies a relatively large piece of land which is landscaped in the style of the day and this includes a cypress hedge and a private tennis court. 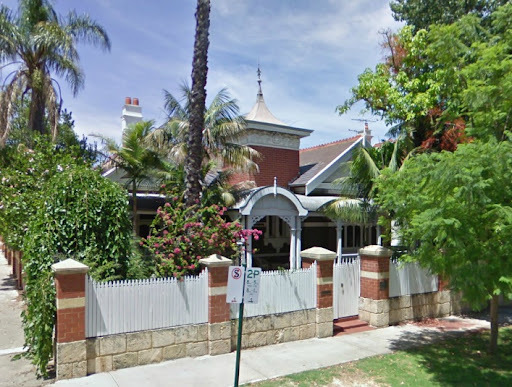 The building has been classified for: its fine architecture and detailing; its association with the Durack family; and, because it exemplifies a lifestyle no longer existing. 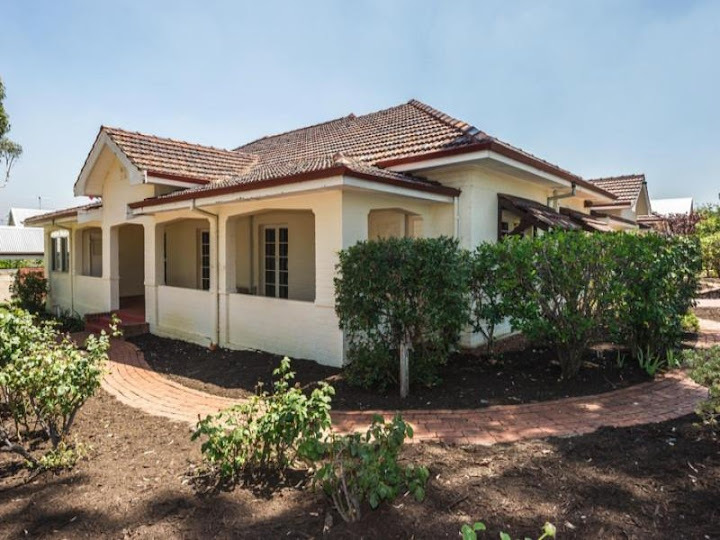 The Durack family, well known as explorers and pastoralists, owned ‘Stratmore’ for many years. The tennis court is now a rare sight in an urban residential environment. The house occupies a site made up of four lots. 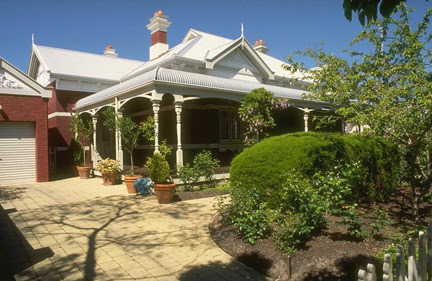 It is constructed of brick and iron and has extensive bullnosed verandahs on three sides. It is symmetrical in plan and an example of a wealthy pastoralists grand city house dating from the middle of the first decade of this century. The interior is generously proportioned with three main rooms notable for their exceptional pressed metal ceilings and friezes. Much of the furnishing is believed to be original to the house. The house is set on the northern side of the holding to provide space for a tennis court. The garden remains as originally laid out with a pair of palm trees, inscribed paving stones at the entries to the tennis court and the rose garden. The house and gardens are set behind a very large cypress hedge. 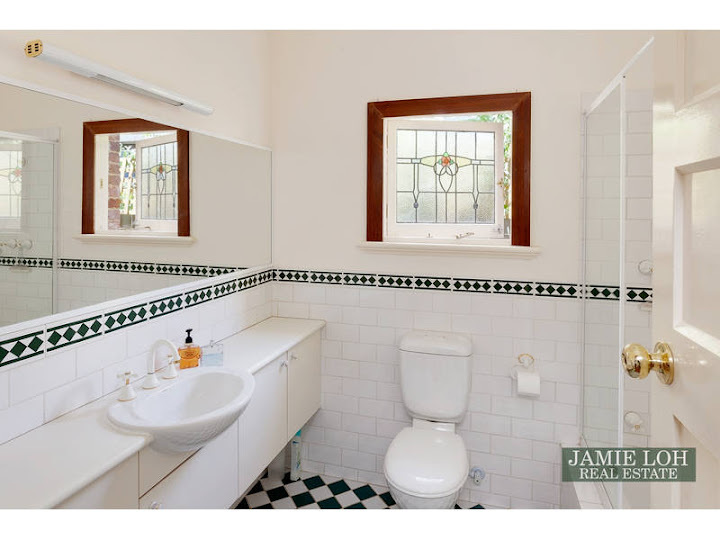 This house is one of the finest examples of residential building in Subiaco with highly refined detailing throughout. 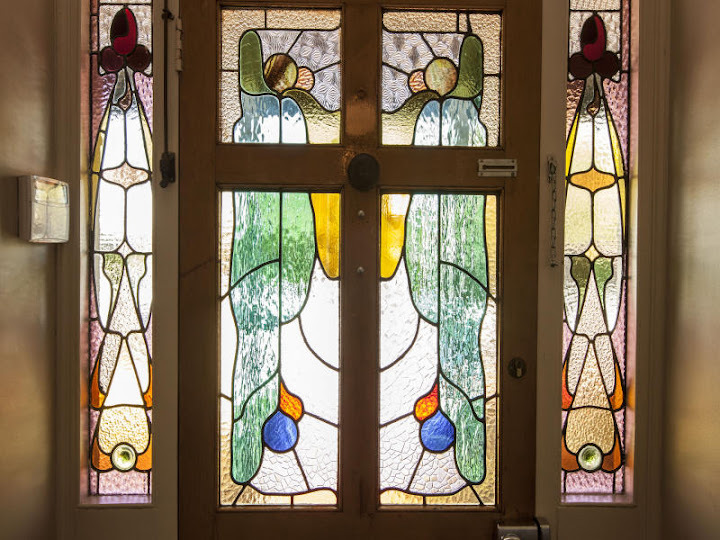 The beautiful leadlighted front door and the sophisticated use of bay windows at either end of the return verandah is notable. 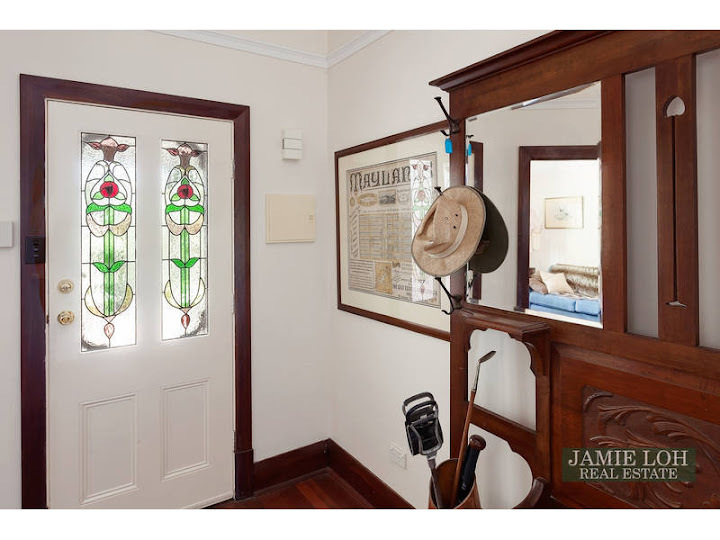 The house is in excellent condition having recently been restored and still has its original timber fences. The mature garden and street trees provide a fitting setting. The house was once owned by a councillor of the city, Lionel Boas. 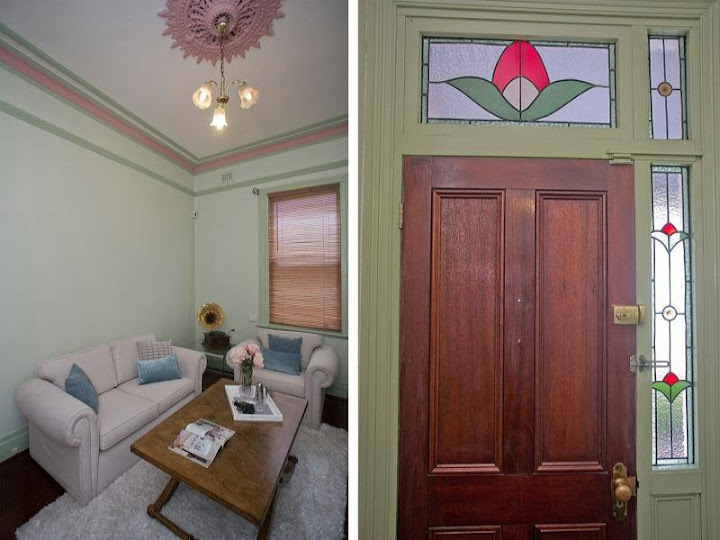 This home has recently restored back to it’s original design by extending the facsia work around the front bay window (as would have been originally intended) and balustrades have been put back in place around the edge of the verandah which would have been removed probably around the 40’s. A ‘modern’ house with simple but distinguished detailing based on a common house type of the period which was widely used throughout Subiaco. The first house constructed under the Workers Homes Act of 1911, introduced by the Scadden Government. It was constructed in approximately 1913 and its first occupant, Mrs Jones, still lives in the house. 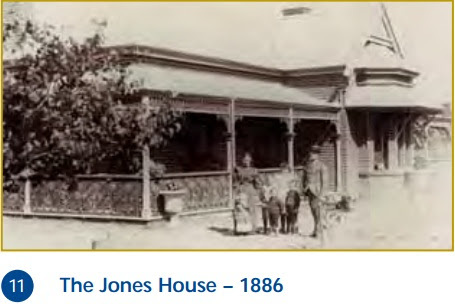 Mrs Jones was related by marriage to Mr Jones who built the first house in Subiaco, known as Jones’ Folly. The house has a front verandah notable for its unique decoration constructed of bent timber. The builder of the house was Henderson. Subiaco has become one of the most popular and hip retail and business strips in Perth and this property is situated in the heart of the Subaico precinct, not to mention a sought after location to reside. Offering security, growth and investment potential, do not miss this opportunity to acquire a stake hold in one of “Perth’s star performer suburb. 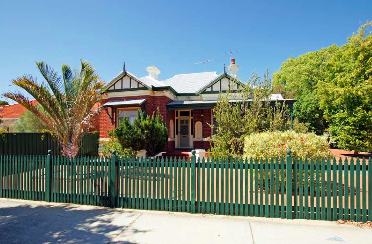 Note: As a condition of purchase, the purchaser shall enter into a Heritage Agreement for the property with the Heritage Council of Western Australia no later than settlement date.